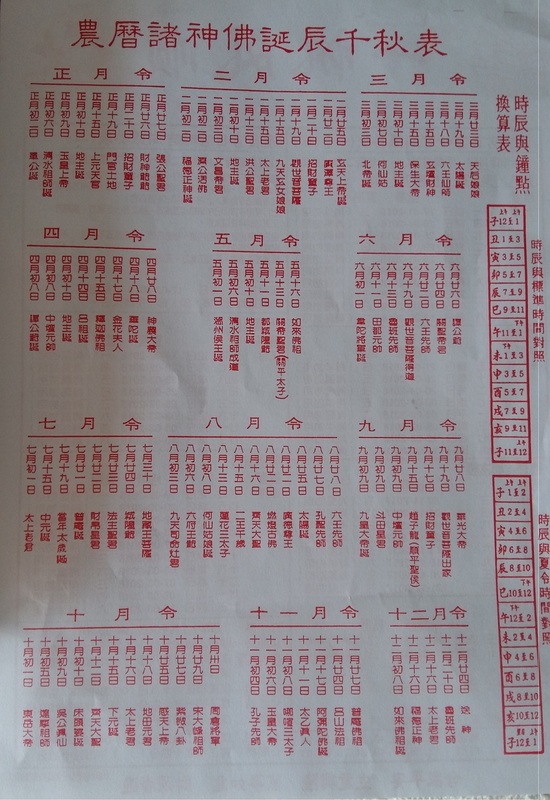 These information sheets are generally handled out by Chinese shops selling prayer items like jossticks and candles. 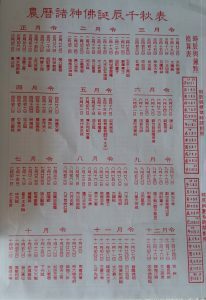 In the past when my mom wanted to do prayers on the eve and during Chinese New Year, she would check with her regular shop and they would refer to the sheet that looked like above to advise her of the timing. 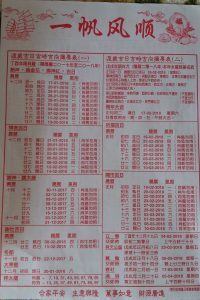 The information page covers activities for the entire year but it is written in Chinese wordings. 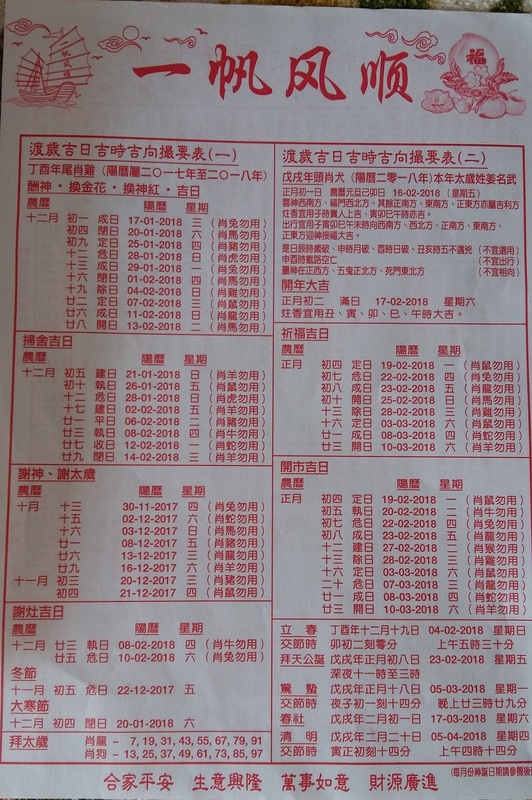 As such paper is easily misplaced, I have thought of updating this in case I wish to refer and also for the benefit of others who may require this information.